New Pet Battle Dungeon Coming Soon! The Gnomeregan Pet Battle Dungeon will be coming in the next content patch! You can view the full WoW Developer stream on Twitch. No other details are available at this time, but we won't have to wait too long to learn more. Players might begin testing Tides of Vengeance on the PTR as early as the end of this week. Keep in mind that new Pet Battle content may not be available at the start of the testing cycle. We can't wait to check out the Gnomeregan Pet Battle Dungeon. Will there be additional Pet Battle content or pets to collect? We'll have to wait and see. 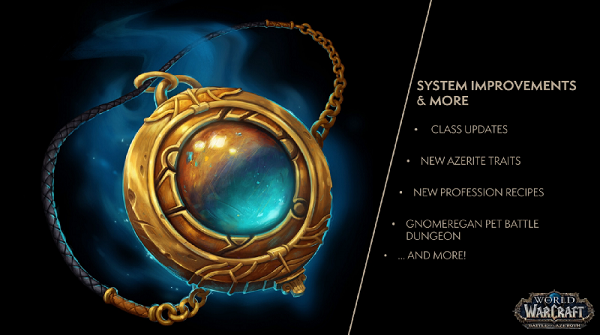 Stay tuned for more updates and news as testing on the PTR progresses! @ Lolfixheal - NO!! We need to buy the pets from a vendor, exactly as the PTR currently shows.. What you say, would be a major mistake!! Lets hope the devs don't fcck up again and lets us release the pets we buy from the dungeon's vendor. I'm crossing all my fingers and toes that it's the Deadmines format, with a currency! Please, please, don't make all the pets random drops. Being able to earn coins to buy the pets was so much better.